I think you’re going to have a splendid weekend with those lovely fabrics. Enjoy! I still haven’t been able to start!!! I hope after this weekend to have some time again. I have made the patterns for the facings in 1/4 scale for the workshop I did, now to make time to do full-sized ones! I’m feeling the asymmetrical one. I hadn’t realized what a difference the shape of a facing could make. Something I’ll definitely be trying out. Can’t wait to see what you end up doing. Cool, hu? 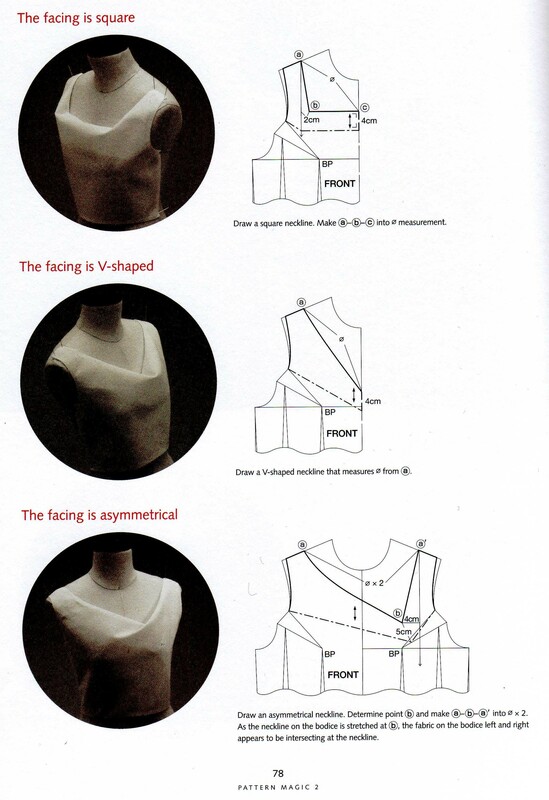 I think the asymmetrical one is problably the one – but need to make the pattern and toile first. I loved your peplum “dress”, btw. Thanks! And, yes, the asymmetrical one is pretty awesome. Previous Previous post: Know You Better – with photos! Next Next post: Excuses, excuses!